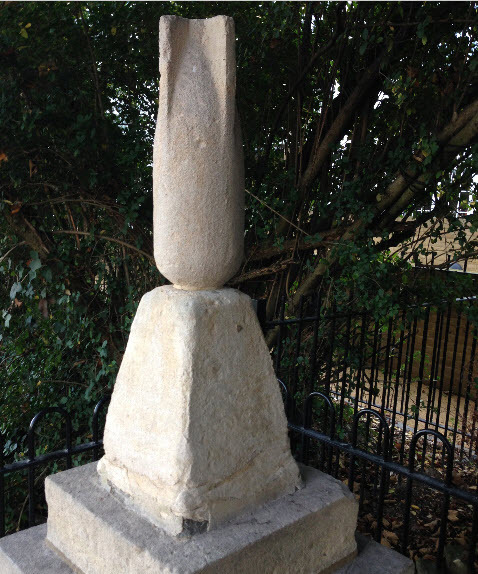 Pedestal surmounted by a carved stone replica of a 1930s torpedo bomb, enclosed by metal railings. 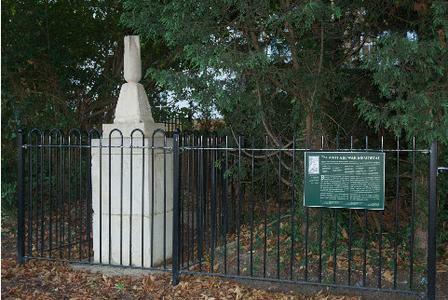 2014: Informed that restoration work undertaken by Galliard Homes as memorial on land developed by them. Memorial was cleaned and railings replaced. 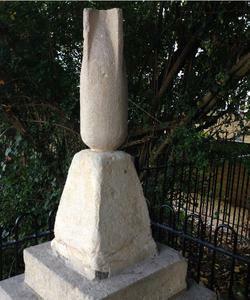 2008: Sculpture vandalised and later restored through funds provided by Dr Richard Pankhurst, the Heritage of London Trust and London Borough of Redbridge. Original inscriptions badly faded. Plaque placed on railings detailing original wording. 1998: RESTORATION WORK TO REPAIR DAMAGE CAUSED BY VANDALISM, POLLUTION AND WEATHERING: BOMB WAS REATTACHED AND SANDBLASTED AND NEW FINS WERE ATTACHED. 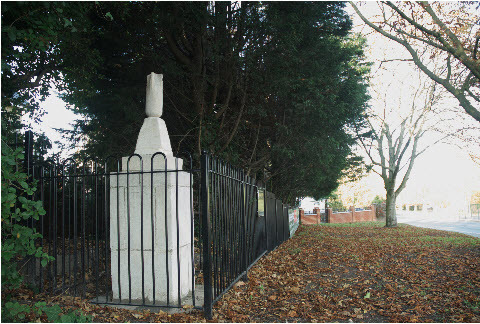 1997: Bomb stolen and later found in forest land off Woodford New Road 1979, 22 February: Grade II listed. 1935, November: Within a fortnight of its unveiling in October 1935 the memorial was broken and the carved stone bomb stolen. 1935, 20th October: On the night of the unveiling the memorial was attacked with creosote. Wanstead and Woodford Guardian (Guardian Series) 17 June 2010 Information about the rejected planning applications for flats behind the memorial which could have put the memorial at risk. New Times and Ethiopia News by Ed. Sylvia Pankhurst and Sylvio Corio 1936 Publicising second unveiling on 21st June 1936.